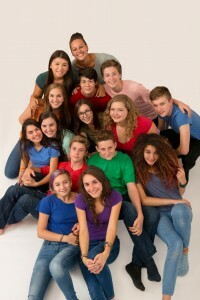 Celebrate the Summer of Love this August with Youth in Arts `Til Dawn A Cappella as they open for MELVIN SEALS & JGB at the Kanbar Center for the Performing Arts “Summer Nights” series at Osher Marin JCC. Best known for his long friendship and musical partnership with cultural icon and guitarist Jerry Garcia, Melvin spun his B-3 magic with the Jerry Garcia Band for 18 years and in doing so helped pioneer and define what has now become “Jam Band Music.” From blues to funk to rock to jazz, Melvin and JGB serve up a tasty mix with a little R&B and gospel thrown in to spice things up. The result is a most satisfying blend of natural organic grooves that challenges genre boundaries.